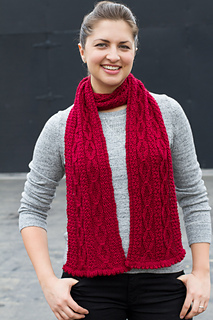 Here’s the second of my two patterns from Defarge Does Shakespeare: Mrs Lear’s Scarf. It has cabling and wrapped stitches, just like the mitts and sections of textured stitches in between the columns of cables. So if you’d rather make a wrap instead of a scarf, super easy to just modify the stitch count to make it wider. If I wasn’t in the middle of lots of deadline knitting projects (as well as sewing projects), I’d start playing around with the pattern in various weights to see what it’d be like. I can just imagine the stole being knit up in a mohair laceweight feeling like a cloud of cotton candy (without the sugary stickiness) being wrapped around you. I would do it myself, but I really dislike knitting with mohair, so that’s not going to happen. Someone else, make it happen! And show me pictures. In other news, I think there’s something hinky going on with our mail. Some days, no mail at all. Then wham! We get a massive pile in one go. And yes, I check the mailbox daily, so it’s not like we’re the ones letting it pile up. What brought it to my attention was a letter from my grandma arriving last Friday. It was dated back in February. So like a month late. And then receiving another letter from her yesterday (ie the following Monday) dated just 27.03. So clearly the mail can get here in a timely manner from Finland, it just chooses not to. Baffling. Still, I’m going to keep writing replies, because handwritten mail is always nice to receive. And I’ve got pretty stationery that I want to use. I’ll just make sure that nothing time sensitive is said in the letters, that’s what phones are for. This entry was posted in Knitting, Personal and tagged DefargeKnits, knitdesign, knitting, mail. Bookmark the permalink.